Businesses have to keep on taking steps that bring their costs down and productivity up. For this, they don’t always have to make their workers work more or use their machines and other resources to their maximum limits. In most cases, businesses can increase the productivity and efficiency of their employees by making them utilize their time properly. Many processes done in a day by the employees can be improved by reducing the time it takes to perform them. The time required to complete these processes can be reduced by picking up an effective workflow management software. Workflow software is designed to automate many processes that employees have to perform routinely. For example, you must need many reports at the end of the day to know the proceedings of the day. Managers need reports to know where the business is standing at any given moment. 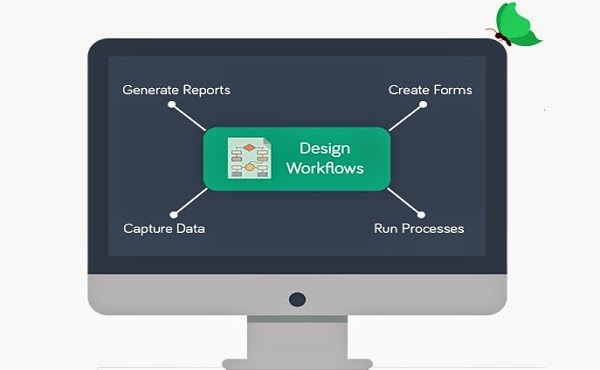 A workflow software can automate this process and create reports for the managers and employees automatically. Furthermore, if these reports need to be shared among certain employees, the software will do it on behalf of the employee. This gives employee the time to work on other tasks while the reports are being created and distributed. The main purpose of a workflow software is to improve the efficiency by letting the employees focus on major tasks. The routinely tasks are performed by the software. The workflow software also improves the standards of many business processes. All employees work on the same standards so for every process they are on the same page. Once the workflow software is in place it will inform about any broken chains in the processes. It also gives information about aspects that are slowing down a process. In short, the entire workflow of the business is now under watch due to the software. If you are looking for a workflow software for your business, there are certain features that you must look for the in the software. First, if you want to pace with the rest of the world and compete with your competitors, make sure that your workflow software makes use of the cloud technology. The entire workflow of the business is accessible from anywhere in the world. The cloud technology allows employees to access the workflows using the many mobile devices such as tablets, laptops and smartphones. Email notifications are also an important aspect for any workflow software. If you are assigned a new task or a new task is added to the workflow, you must get the notification for that. Many of the tasks are repeated on a daily basis in companies and workflow software can automate them by creating pre-filled forms. For example, the purchase orders you create include the same headings every time and a workflow software can greatly help in creating these forms without requiring to fill all the fields every time. Lastly, your workflow software should create reports automatically and help businesses in recognizing their KPIs.